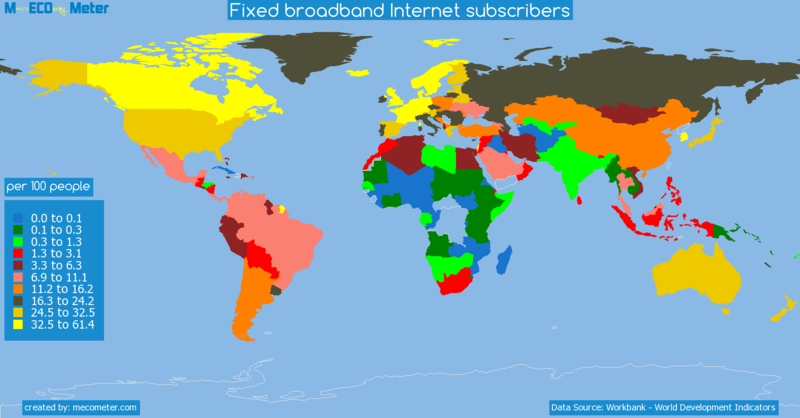 Value & RankThe Fixed broadband Internet subscribers of Pakistan is 0.59 (per 100 people) with a global rank of 148. 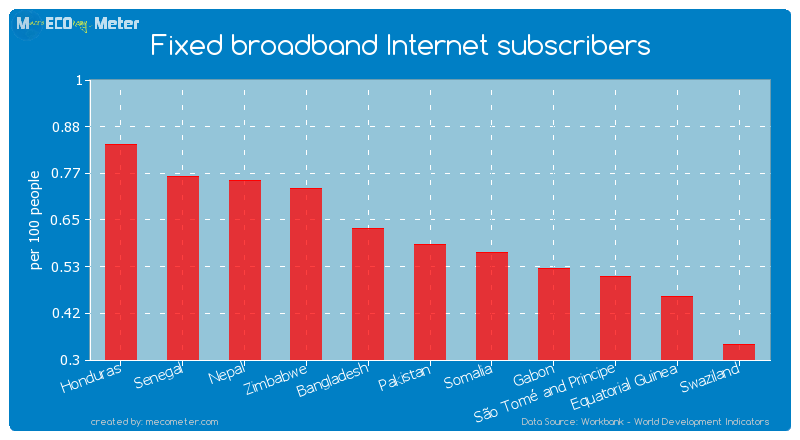 Pakistan compared to other CountriesThe Fixed broadband Internet subscribers of Pakistan is similar to that of Honduras, Senegal, Nepal, Zimbabwe, Bangladesh, Somalia, Gabon, São Tomé and Principe, Equatorial Guinea, Swaziland with a respective Fixed broadband Internet subscribers of 0.84, 0.76, 0.75, 0.73, 0.63, 0.57, 0.53, 0.51, 0.46, 0.34 (per 100 people) and a global rank of 143, 144, 145, 146, 147, 149, 150, 151, 152, 153.5 years growthPakistan's Fixed broadband Internet subscribers had a positive growth of 500 (%) in the last 5 years from (2008 to 2013). 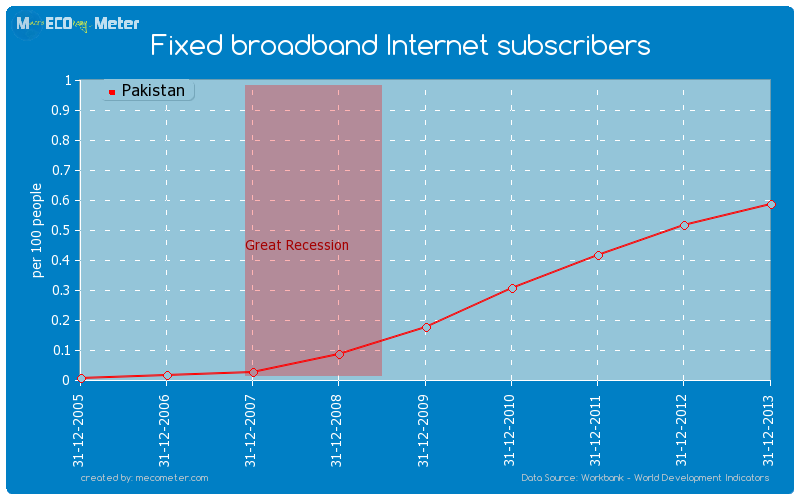 Last 5 years averagePakistan had an average Fixed broadband Internet subscribers of 0.35 (per 100 people) in the last 5 years from (2008 to 2013).